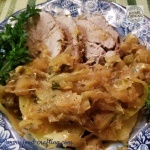 Pennsylvania Dutch Pork Ribs – This recipe for braised country style pork ribs with sauerkraut and apples is without a doubt a close cousin to French Choucroute Garnie. During the summer, the country ribs are bathed in tangy barbecue sauce and served over spicy saffron rice or pilaf but when the temperatures dip, I prepare this version of the dish. The ribs are paired with tart apples, sauerkraut and steamed potatoes. Check out all my Pennsylvania Dutch recipes! A quick confession – I will admit to cutting back on the typical quantity of meats in the authentic version of this dish (by not adding sausages) and by braising them in white wine. Shhh…. Let’s just call it fusion cuisine. Another confession to make. I normally prepare this recipe with country style ribs but tonight, I am bending the rules and using small boneless top loin roasts. Let’s pretend this is a boneless pork ribs recipe. While checking out the meat counter, there were only two small packs of country ribs – barely a serving each and likely to shrink to a few bites. I opted for two small boneless top loin roasts. Together, they cost less than $7.00 and weighed 2.25 pounds. Boneless top loin is much leaner so it will take a little longer to braise them to fork tenderness. Dad was right all those years ago to say that many Pennsylvania Dutch recipes would remind us of home – both France and Germany. Not only did my French grandmother and great-grandmother prepare this type of dish but Choucroute Garnie is a regional specialty very familiar to us. We hail from an area not far from l’Alsace but Great-grandpa served in the Alsace Lorraine region during World War I and came to love the food. Needless to say, Alsace was German at one time but it behooved us all not to remind him of that fact! That’s just one of the causes he fought for dating back to the 1890s. La Revanche was a touchy subject. 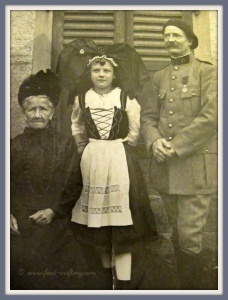 A soldier since the age of 18 and always proud to wear his uniform, in this photo he is standing with members of his host family during the First World War time frame. He re-enlisted for World War II and served as an aircraft spotter. But I digress…that’s another story. Just goes to show that there are truly 6 degrees of separation in this family (both his sons would marry Germans ❤ ) – and that it is a small world. 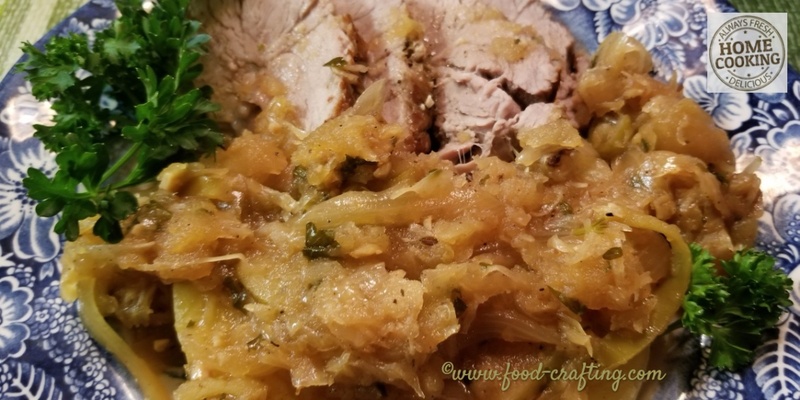 Pennsylvania Dutch Pork Ribs – a recipe for braised country style pork ribs with sauerkraut and apples . A close cousin to French Choucroute Garnie! 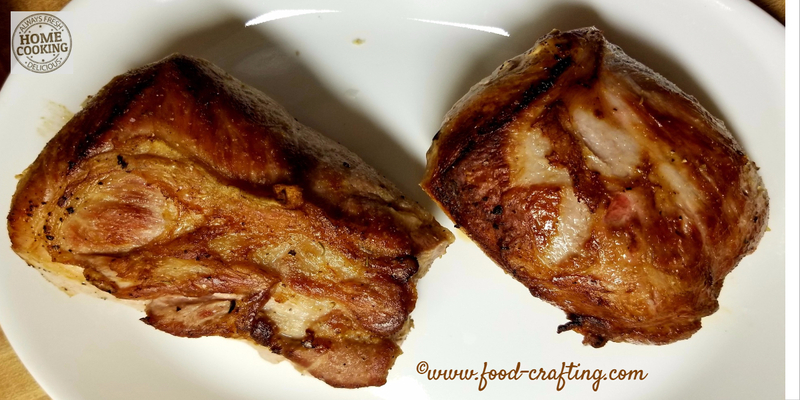 Pennsylvania Dutch Pork Ribs – a recipe for braised country style #porkribs (with bones or boneless) with sauerkraut and apples . A close cousin to French Choucroute Garnie! 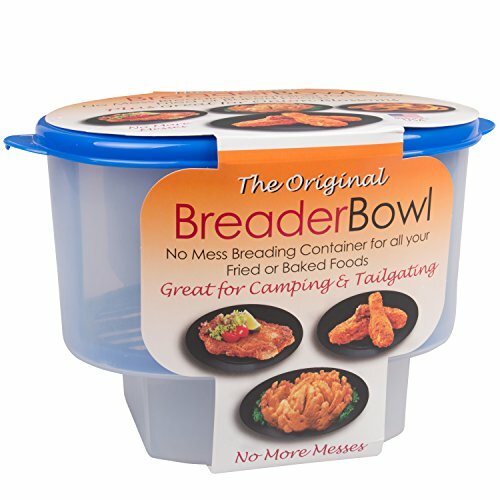 Normally prepared with country style ribs but tonight, I am bending the rules and using small boneless top loin roasts. 1 cup of white cooking wine or chicken broth. Dry both side of the meat on paper towels. You want the ribs or roasts nice and dry. In a Dutch oven, over medium high heat, pour some olive oil. A couple good dashes should do it. When the oil is hot, add the butter. As soon as the butter is melted and begins to froth, carefully place the meat in the pan. Brown the meat until golden brown on one side before turning the pieces to brown the other side and seasoning each side as you brown them. Once browned, remove from the pan and set aside while you prepare the vegetables. To the hot pan, add the sliced onions, the crushed garlic and sauté about 2-3 minutes until the onions begin to brown along the edges. Season lightly. Add the apple slices and stir to combine. Sauté another 5 minutes, being careful not to burn the onions or the apples. Add the drained sauerkraut to the onion/apple mixture and combine well. Top with the pieces of meat. Adjust seasonings. Pour the wine or broth around the meat. Lower the temperature and simmer for about 1 hour or until the meat is fork tender. Prepare the steamed potatoes to coincide with the completion of the meat cooking. I sliced the steamed potatoes open and topped them with the sauerkraut. The wine/broth made yummy gravy to ladle over the sliced meat. 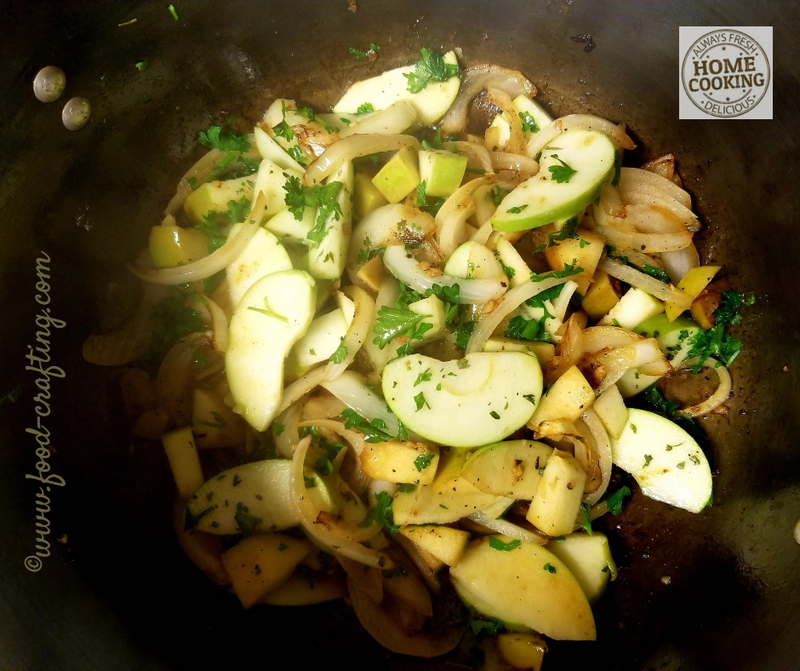 Onions, garlic and sliced Granny Smith apples! This dish calls for hard cider or, if nobody needs to get behind the wheel – a nice white Chardonnay or red Beaujolais wine. Beer is perfect with the barbecued summer version of this dish! 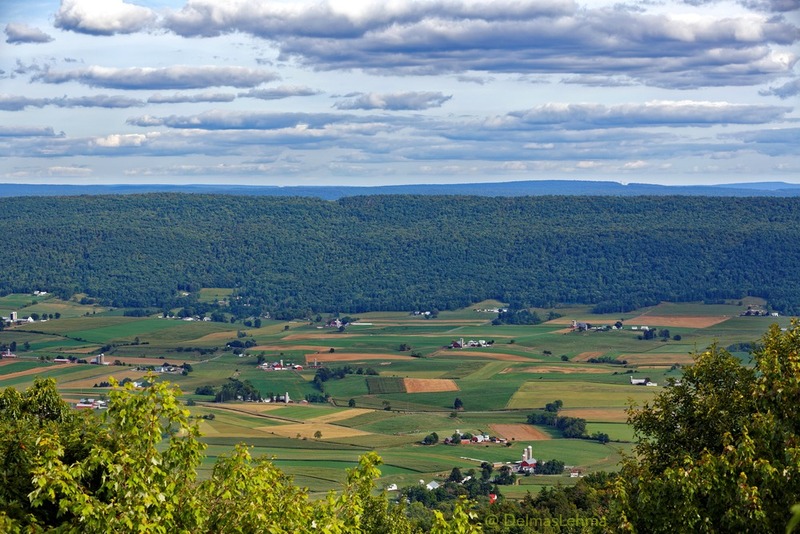 Farmland in the Kishacoquillas Valley of Mifflin County, Pennsylvania. If you have ever traveled across or lived in central Pennsylvania and the Big Valley area, you know there are some mighty fine butchers throughout the Kish Valley!